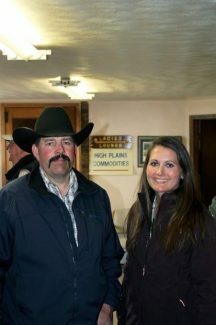 Mark Scherbenske and daughter Kara purchased a couple of the top Mangen Angus bulls. 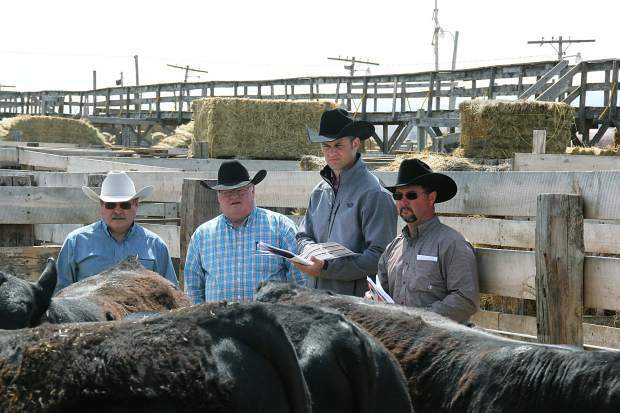 Longtime Mangen Angus bull buyers, Graham Livestock, Moorcroft, Wyoming, sorting thru the Mangen Angus bulls. Carla and Will Alexander, Boyd, Mont., at the Mangen Angus sale. Enoch Schaffer, Broadus, Mont., purchased Mangen Angus bulls. Location: Belle Fourche Livestock, Belle Fourche, S.D. 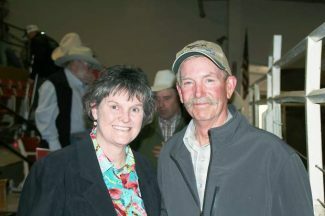 John and Mary Alice Mangen, Mangen Angus Ranch, from near Broadus, Montana, held their annual bull sale on April 23, 2015 at the Belle Fourche Livestock Exchange, Belle Fourche, South Dakota. Mangen Angus is a no-frills operation. The bulls are in great working condition, not over fed and pushed for top gains, but developed to go out to work in the breeding pasture without falling apart. These bulls have never seen creep feed, they excel on mother's milk and the hard native grasses of Southeast Montana. This was a fast-paced sale with bulls selling in large sire groups, offering buyers many half brothers to choose from. There were excellent bulls scattered throughout the sale with many of the top selling bulls sold in the later part of the day. 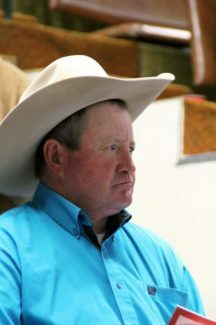 The Mangens have an excellent following of loyal customers and a good reason for that is not only bulls that work but also because of the Mangen Angus guarantee, which is the best there is. These bulls are fully guaranteed for one year, no matter what! The top selling bull was lot 12, MAR Consensus 4512, an Apr. 2014 son of DL Consensus 412 that had a weaning ratio of 110 and epds of BW 2.8 WW 60 Milk 23 YW 91. The bull sold to Scherbenske Angus, Lehr, N.D. for $17,000. Scherbenske Angus also got lot 58, MAR Frontman 4558 at $14,000. This Mar. 2014 son of GMAR Frontman z068 had a weaning weight of 782 pounds and had a weaning ratio of 111. Also selling at $14,000 was lot 25, MAR Juneau 4525, an Apr. 2014 son of MID Performer 015 that had a weaning wt. of 845 pounds, WR of 118 and epds of BW 0.9 WW 55 Milk 21 YW 79. Sandage Angus, Gordon, Neb., was the buyer. Green Mt. 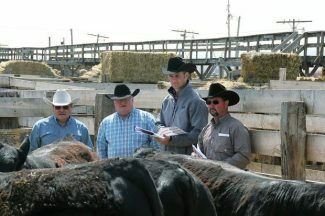 Angus, Rygate, Mont., purchased lot 41, MAR Juneau 4541, another Apr. 2014 son of MID Performer for $12,000. This bull has epds of BW 2.4 WW 53 Milk 21 YW 94. Lot 15, MAR Consensus 4515, a Mar. 2014 son of DL Consensus 412 with epds of BW 1.7 WW 53 Milk 27 YW 84 sold to repeat buyer, Emmons Ranch, Olive, Mont., for $10,000. Also selling at $10,000 was lot 29, MAR Net Worth 4629, an Apr. 2014 son of MAR Net Worth 1505 with epds of BW 0.6 WW 62 Milk 20 YW 101. This bull weaned off at 812 pounds with a weaning ratio of 115. Grandview Angus, Rapid City, S.D., was the buyer.